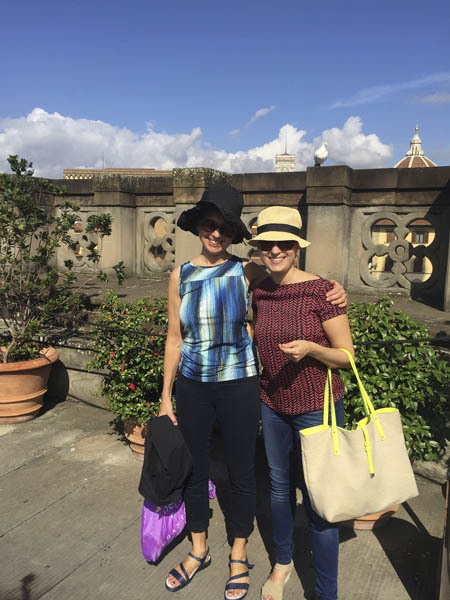 A mother-daughter dream trip around Italy brings food, fashion, and family bonding. I wanted a trip where we could have wonderful experiences—the stuff, they say, that is a better use of funds than stuff. 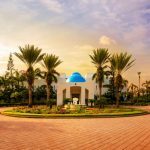 We wanted to see cities, ideally of some antiquity with the right dose of fun, good food, and a few days of rest and relaxation on a beach. Italy, a bastion of beauty, ample carbohydrates, and culture is a foolproof destination. On top of that, I knew that my mom, a professional and accomplished artist, had been planning her first trip to Florence and Rome for many years. So we’d start in Florence, the birthplace of many of the great Renaissance painters who had inspired my mom’s own work. Then we’d continue to Porto Ercole, on the coast of Tuscany, for some sea air, and finish with two days in Roma. But first, the lodging. 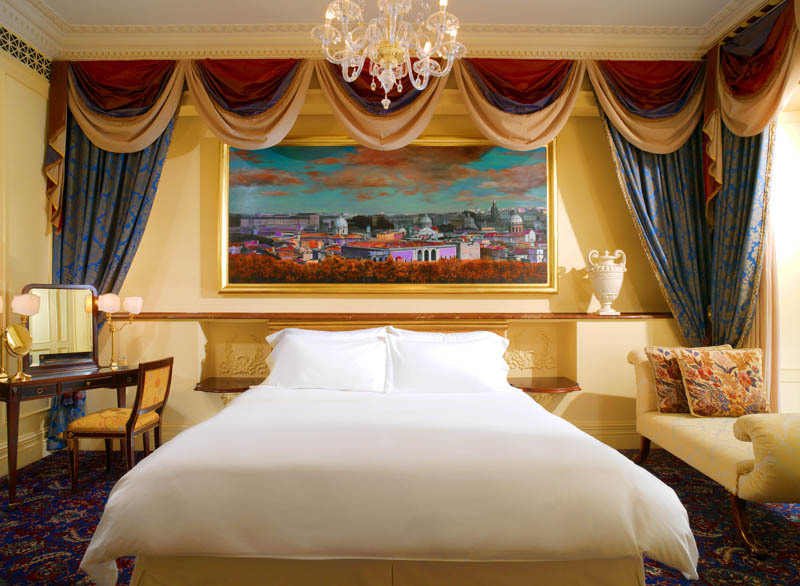 We essentially planned our entire trip around the availability of a room at the Four Seasons Hotel in Florence. Both of us were captivated by a picture on their website of an enormous outdoor emerald green pool that was even more enchanting in person. 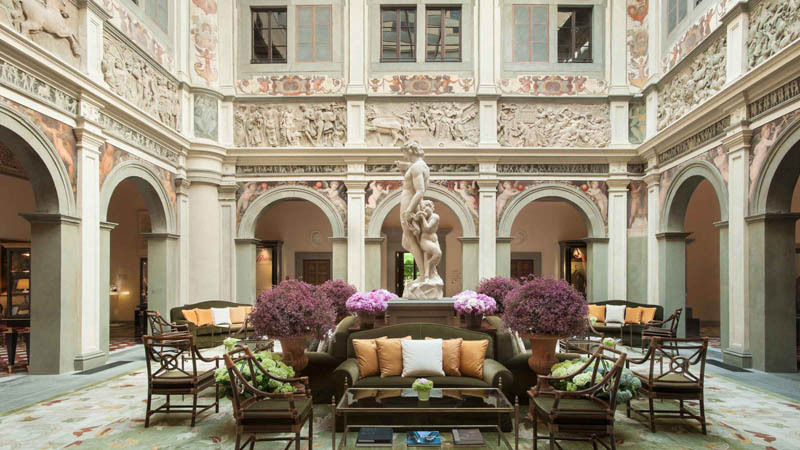 The hotel is in the middle of Florence, a few steps from the Duomo, yet sits on the largest private gardens in Florence. It provided a sanctuary from the crush of tourists that descend in droves upon Florence. It is worth the trip to a city that has no direct flights from the U.S. (I advise flying La Compagnie, the new all-business class airline to Paris; then it’s a two-hour hop to Florence.) We stayed in the part of the hotel called the Conventino, a sculpture-filled four-minute walk to the main part of the property. 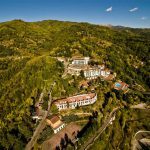 The former nunnery had the intimate attention of a boutique hotel. 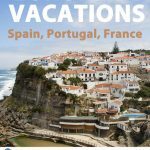 We wanted to splurge on a great hotel, and discover restaurants with good food and reasonable prices. We enjoyed a memorable meal on our first day in Florence at Il Sadona Allegro, a small café on via Luigi Carlo Farini. A two-course lunch including beverage, with perfectly seasoned al dente rigatoni, put us back 10 euros (each). Our pace in Florence was breakneck. We climbed the 417 stairs of the Duomo, an experience during which my mom asked, “We paid money for this?” The view from the top, however, is worth the exertion and the 10 euros. My mom told me about Giotto’s role in the beginning of Renaissance perspective drawing as we gazed at his frescoes at the Franciscan church of Santa Croce. Food was crucial to our time together (my mom and I both relish eating and at regular intervals). The cacio e pepe—a minimalist pasta of cheese and pepper—at the Four Seasons set the standard for pasta for the rest of the trip. Il Borro, an elegant lunch spot on the Ponte Vecchio, serves somewhat lighter fare such as pea soup, smoked salmon salad, and risotto with burrata. 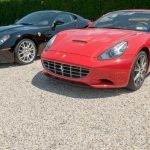 Ristorante Borgo San Jacopo has a wonderful view over the Arno River and puts a modern twist on Italian classics with inventive dishes such as five ziti pasta with asparagus and vegetables from the Tuscan garden with black truffle. At the Ferragamo museum, which is worth a visit if only to see the walls of shoes, I stumbled upon a quote that said, “A visit to Florence is not only good for the spirit but a chance to improve one’s aesthetic appearance.” So we took that to heart and visited the Sonya Boutique, owned by Florentine Caterina Buono. She sells a very well-curated selection of D. Exterior (a brand with limited availability in the U.S. or online), Missoni, and Roberto Cavalli. Our plan, aided by the fact that we didn’t have a car, was not to go anywhere for three days. We passed the time swimming in the clear, silky water (one of Il Pellicano’s best features is that it has direct beach access), taking steams in the Turkish bath, swimming in their heavenly pool filled from the sea below, perusing their boutique, and then after dinner catching up on mediocre American television. My mom observed that the 50-room hotel felt like a camp, albeit one with movie-star gorgeous vistas over the water and a somewhat overpriced Michelin star restaurant. Refreshed, we were ready to head to Rome, the last leg of our journey. We arrived in the late afternoon on Sunday, and headed straight for the Colosseum. We had to be strategic about how to use our 36-hours. 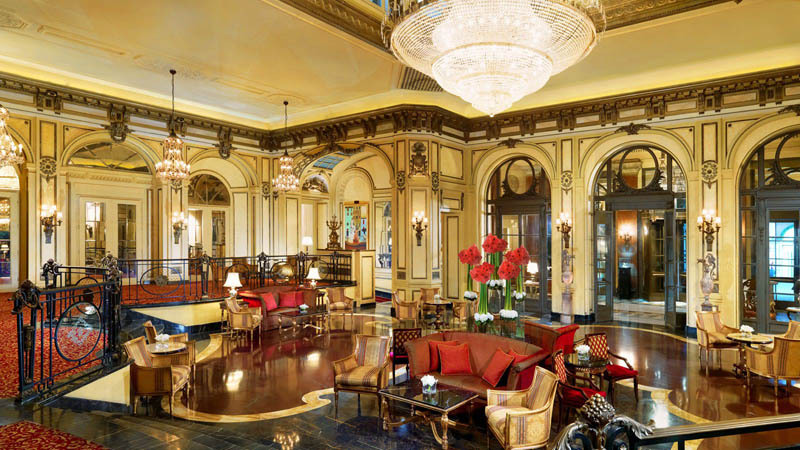 Our hotel, the St. Regis, was centrally located on the Via Vittorio (and had some of the most gracious, read: largest rooms I’ve ever seen in Europe). With our time constraints, we couldn’t see everything, but we saw a lot. My mom wanted to see in particular Michaelangelo’s sculpture of Moses, in the church of San Pietro in Vincoli. Our highlight reel also included the Roman Forum, the Sistine Chapel at the Vatican, the Spanish Steps, and the Villa Borghese gardens. 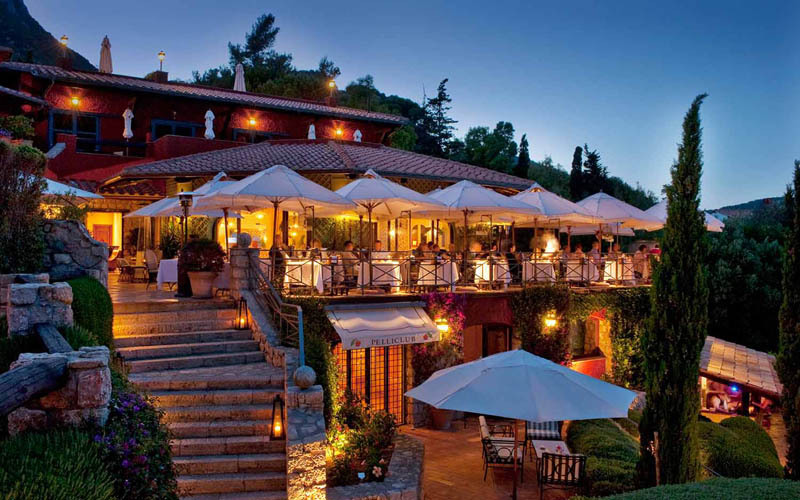 We dined al fresco in the magical and delicious Secret Garden, Le Jardin de Russie, at the famous Hotel de Russie. You don’t know how good Spaghetti Pomodoro can be until you’ve tried it here. Before we left on our Italian odyssey, I had asked, half joking, “Can two adults, particularly those who are as closely related as a mother and daughter, travel harmoniously together?” The answer, I’m happy to report, is yes. The proof? We even tried, without success, to extend our time in Rome.What made the trip such a success? Yes, it was well-planned and we stayed in beautiful places. Still, anyone who has ever navigated a foreign city—not to mention one where neither one speaks much Italian beyond “grazie”—with another human being knows that travel can be a test of endurance and patience. La Compagnie, the elegant all Business-Class airline, has daily non-stop service to Paris from Newark, lacompagnie.com/en. 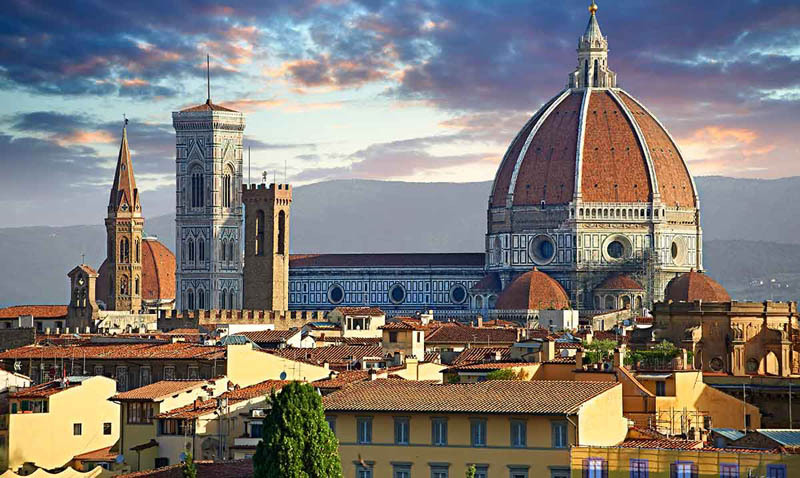 There are easy and ample connections both to Florence (and Rome).